This eCommerce website was developed to showcase Susan Caplan’s new contemporary range of jewellery alongside her well established vintage collection. With eCommerce online product images are key and when complemented with a simple elegant design style it’s hard not to be impressed with what Susan Caplan has to offer. 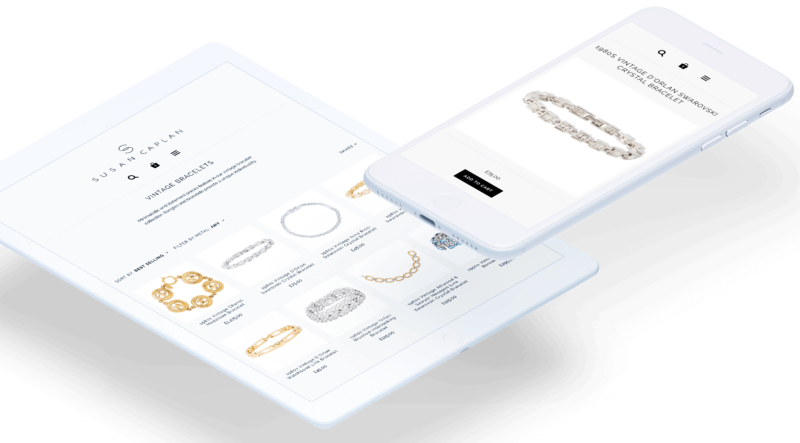 Using shopify as a base, the website is a fully functioning online shop integrated with payment gateways, social media, newsletter subscriptions and more. As with all of our websites, we’ve done the responsive work to ensure that it looks great on all desktop computers, tablets and mobiles. In addition to web design services we also help Susan Caplan out with the design and print of care cards, gift vouchers and wallets.